This sort of research is far from impossible: you need to be creative with what materials you have to hand and to proceed with an awareness of your own cultural and historical distance from these materials. Although many people first approach a topic through light secondary reading, my advice would be to get yourself to whatever archive you can (for me it was the National Archives in Kew) and build your specific research topic out of whatever fascinating documents you’re thumbing through. Do this primary reading before any serious secondary reading, there’s no use investing all your time and energy in a topic when there’s just not the material. Unfortunately, the lack of language and travel does mean that you will probably face challenges; however, acknowledging your position can lead to fresh perspectives on events. Personally, I ended up focusing on British Espionage and Intelligence in Japan and China during the 1850s and 1860s. 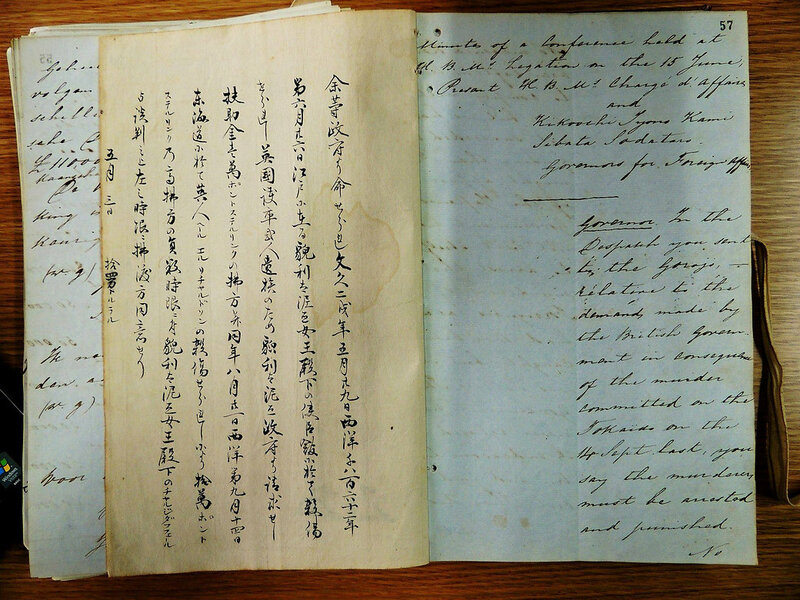 I like to think, though, that while I accessed Chinese and Japanese experiences through a Western lens, this lens nonetheless provided information about the experiences of countries in turmoil, and some skillful reading against the grain of official documents produced some really interesting results. Such reading against the grain can be done by using diplomatic, mercantile and military documents. 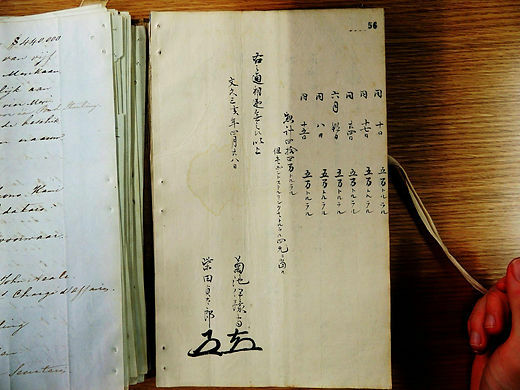 Although clearly part of a colonial discourse, the language barrier is bridged by these documents because the intended recipients were non-Chinese/Japanese speakers in London. I came across no end of documents in other languages, but they often came with a full translation and explanation attached. Research questions can begin even by simply asking who made these translations and what purpose they served. Also, working on intelligence meant a lot of intercepted documents, written by Chinese or Japanese people and often about the British and what nasty pieces of works they were! Using these, I was able to include a number of Chinese and Japanese voices into my work without speaking their language or going to their countries. Although, looking forwards, any professional work is definitely going to need some language skills, at undergraduate and masters level there is a tonne of material within reach that anyone can make use of. If global history is what drives you, how much should you limit yourself due to the lack of a language or a travel budget? My answer would be not at all. And who knows? Maybe that undergrad thesis you did will get you onto a Japanese language programme someday, where you get the chance to live or work in a culture that once felt like a different world. Adam holds an MSt in Global and Imperial History from the University of Oxford and is currently studying in Japan and working for Empress English Conservation School. Edited by Matthew Tibble and Bridget Moynihan. ← Learning From Journals: What can we Learn From ‘The Landswoman’?